Call of Cthulhu was a game that I played from time to time a few years ago in college. It wasn’t a regular game, given the fact that I and most of the players either died or went insane at the end of the game, which prompted us to make new characters for the next session. It was a frustrating experience where the bad guys won most of the time at the end of the game. At that point in my gaming experience, I was still starting out with Pathfinder and D&D, where losing did happen, but not to the extent where it happened 75% of the time. But in hindsight, Cthulhu wasn’t about the end, but how you got there. During the few games I played, it was pretty cool when your character went insane because there was so many role playing opportunities to make the game that more interesting which added to the dark, mysterious feel of the game. 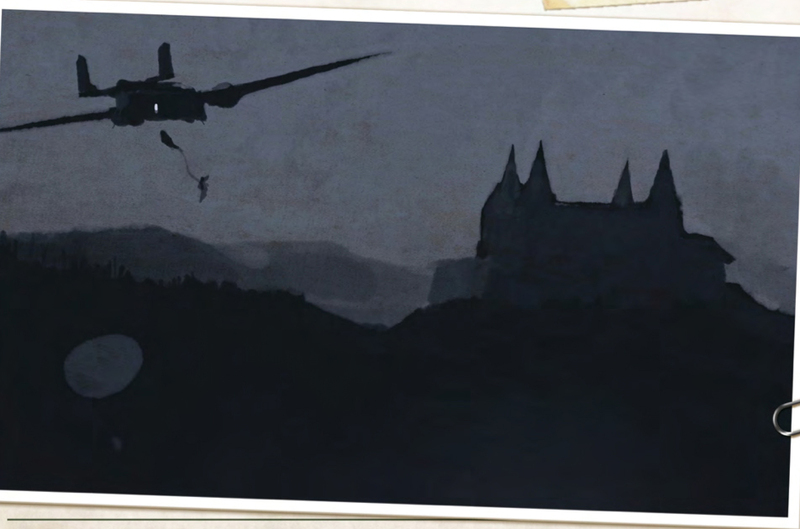 Last week, I purchased Modiphius’ PDF of Achtung! Cthulhu PDQ Core Rulebook, since I was invited by a new player to GM a game on campus with four of his other friends. Since my Numenera campaign is still in development, I wanted to bring a game that would cater to my newly found weird scifi rpg sensibilities; but the game also had to be a core book that had easy-to-learn rules, pre-made characters and a great setting. Enter Achtung! Cthulhu Three Kings. I’ve known about the game for some time(it came out last year) and I never had a chance to play it since I was taking a break from the hobby at the time of its release. Achtung! 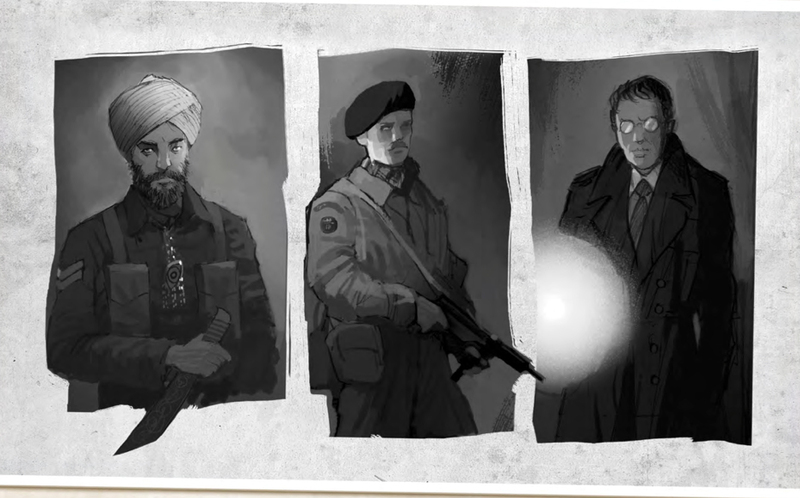 Cthulhu is the Cthulhu Mythos meets World War II, and it’s just as good as it sounds. Half the book is dedicated to the adventure Three Kings where the Third Reich has invaded Czechoslovakia in 1939, and the players are tasked with either going undercover, or parachuting on the outskirts of Prague to meet up with an undercover agent and the resistance to investigate some mysterious happenings at a castle where the Nazis are committing atrocities; but to what end? The adventure is pretty fun with insane people, mad Nazi scientists, gun battles, investigations, an evil book, an opportunity here and there for the players to run into a monster(s? ), and of course coming across some things (or people) who may not be as they seem. The group liked the game for the most part, even after three of them bit the dust, thanks to two consecutive insanity rolls from the two other players which essentially had them running away from an encounter (They came back eventually, but the damage was already done). At that point, I thought I knew for sure what the surviving players were going to do, but they got creative (and heroic!) and took a path (one of a few the book outlines that I hinted at to the players) that made sure they, the Nazi army and nearby civilians survived the ordeal. I think I would have scaled a couple of things down, given that the vast majority of the players were inexperienced with Cthulhu, but that’s the only thing I would’ve changed. The adventure is great! I like how the book breaks down every encounter all the while providing additional details which immerses the game into the World War II backdrop. I definitely will be keeping up with the releases. One thing that I want to touch upon briefly is the rules. Achtung! 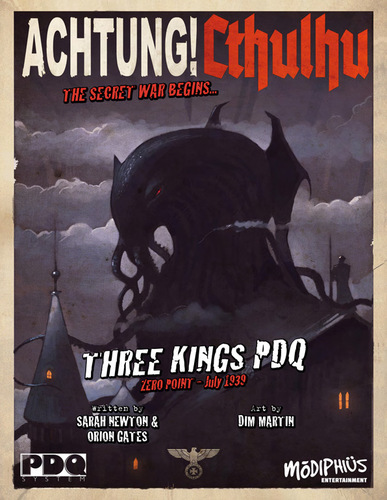 Cthulhu is currently available in different editions for use with either 6th edition Call of Cthulhu, Trail of Cthulhu, Savage Worlds or PDQ (which stands for Prose Descriptive Qualities). I specifically picked PDQ since that version of Achtung! Cthulhu was the only one that had rules in it (I’m familiar with Call of Cthulhu but it would take some time for me to explain the rules to the players). PDQ is a very simple system to use whereby you choose what you want to be then pick three “core qualities” which essentially are broad subjects you are skilled with that give you an advantage in your dice rolls. For example if one of your core qualities is British Commando, you’ll get a +2 to skills like shooting a gun, sneaking, disarming a mine, etc. There are no hit points for PDQ characters, instead your core qualities are reduced. If they’re reduced to a certain point, then your character is out of commission. There’s also a difficulty table with target numbers for tasks, ranging from poor to inconceivable.